Have holiday lights stored away? Dust them off and put them to use with these 7 DIY ideas! Add a little sparkle to your home with these easy DIY projects using string lights. 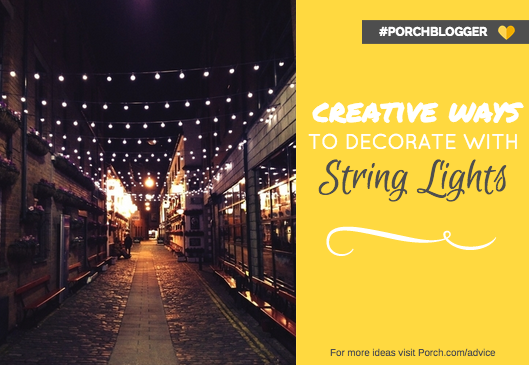 From your backyard to your bedroom, these Porch Bloggers show us how string lights can be an inexpensive way to light up any environment! 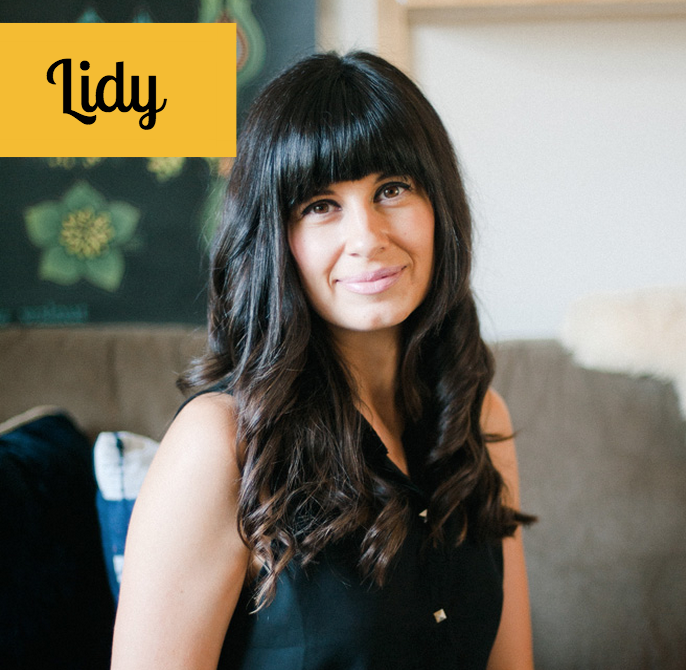 Hello Lidy is a blog that focuses on creating and cultivating unique spaces that integrate original handmade designs and vintage pieces, while keeping up on current trends and designs. Lighting is an important piece for any space or room, which is why I love having something playful and one-of-a-kind to give my space a unique atmosphere. 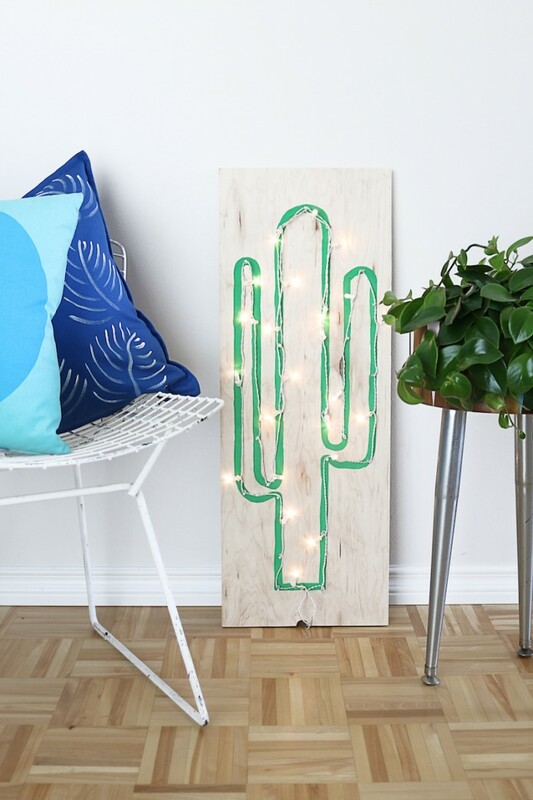 I’ve always wanted a neon light but they can often be very expensive, so I came up with a simple DIY Faux Neon Cactus Light Using String Lights! 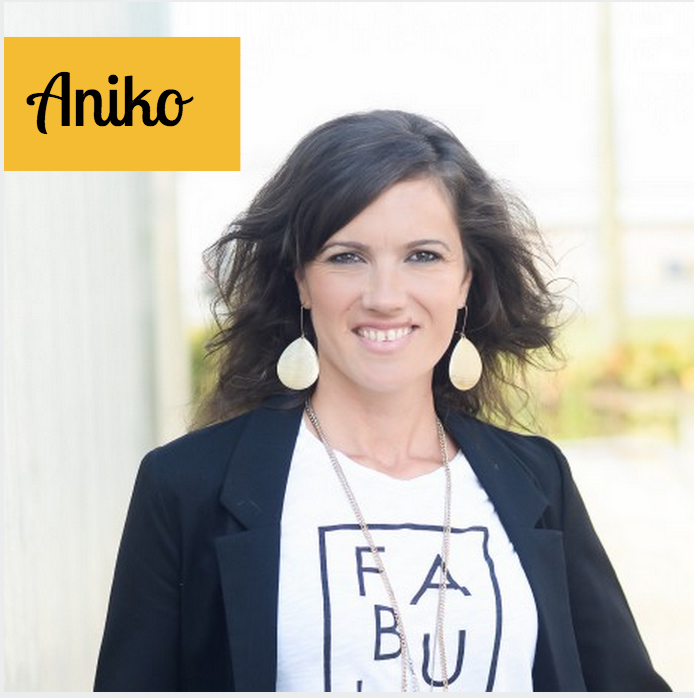 Aniko blogs over at Place Of My Taste where she shares fun DIY projects, home decor ideas and yummy recipes. 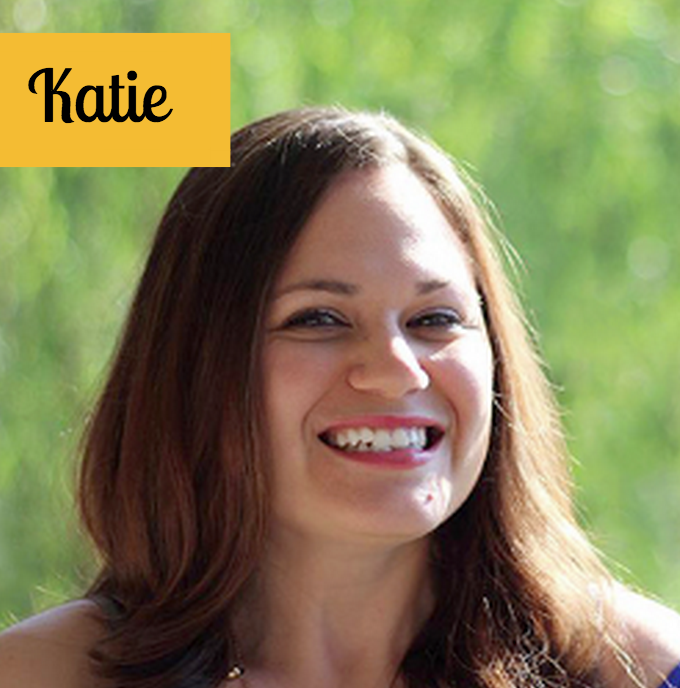 She is a mom, wife, business owner, photographer and loves to create and decorate on a budget. Summer is one of my favorite seasons and spending evenings outdoor is my most favorite thing to do during summer months. 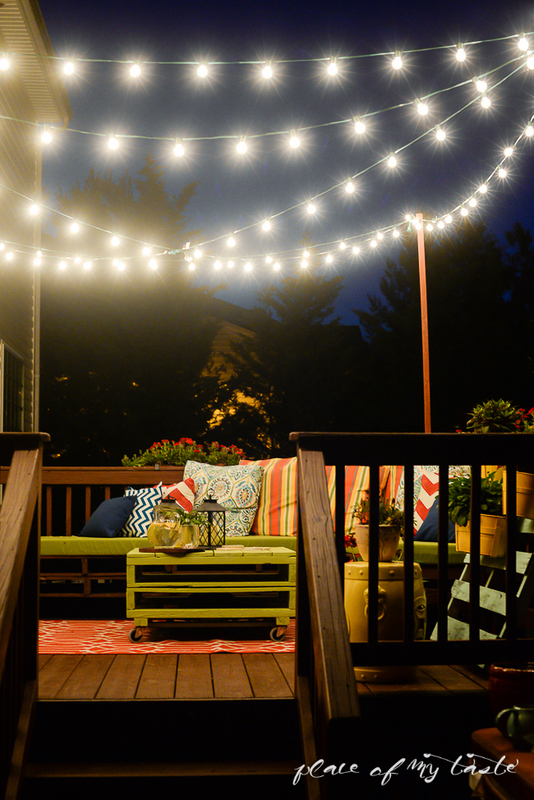 We created our fun pallet deck furniture last summer and I thought adding some string lights to the deck would make our evenings even more enjoyable out there. It was super easy to add string lights above our deck and it made our already fun outdoor space much more cozier and inviting. 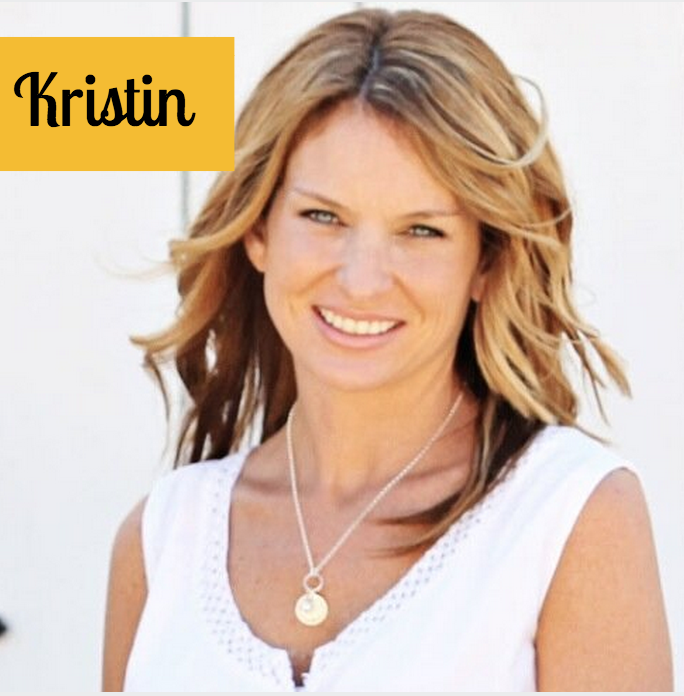 Kristin enjoys turning a little slice of suburbia into her dream home, while remaining functional and practical. On her blog, Uncommon Slice of Suburbia, Kristin shows how it’s possible to create stylish and beautiful spaces fit for busy families on a small budget. A few months ago while browsing the thrift shop aisles, I came across some wall art for $12. Although it wasn’t my taste, I knew I could transform it into a sign for my creative workspace. 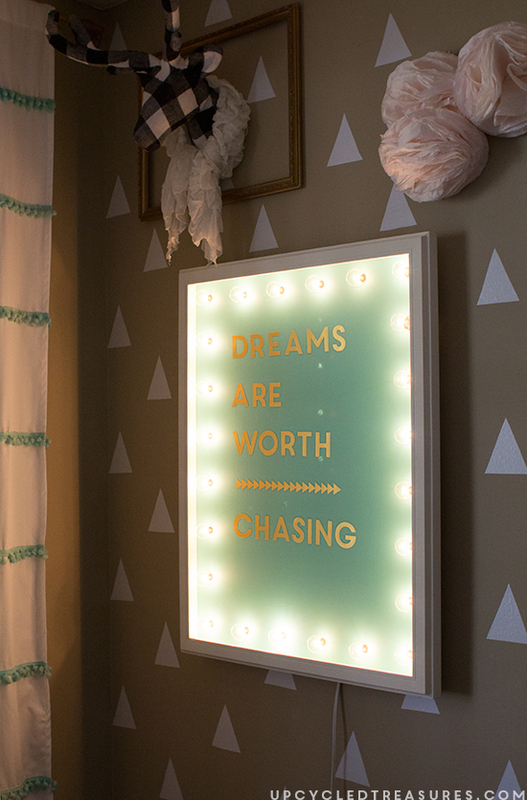 With a little deconstruction, paint, and a pack of globe string lights I was able to create an inspiring sign that’s not only fun but is functional too! Christy from Our Southern Home marries thrifted, vintage, antique and store bought finds for a warm family home full of Eclectic French Country Farmhouse Style. Grapevine spheres and moss become an enchanting centerpiece when string lights are added. Simply tucking in several mason jars instantly changes the look with flowers! 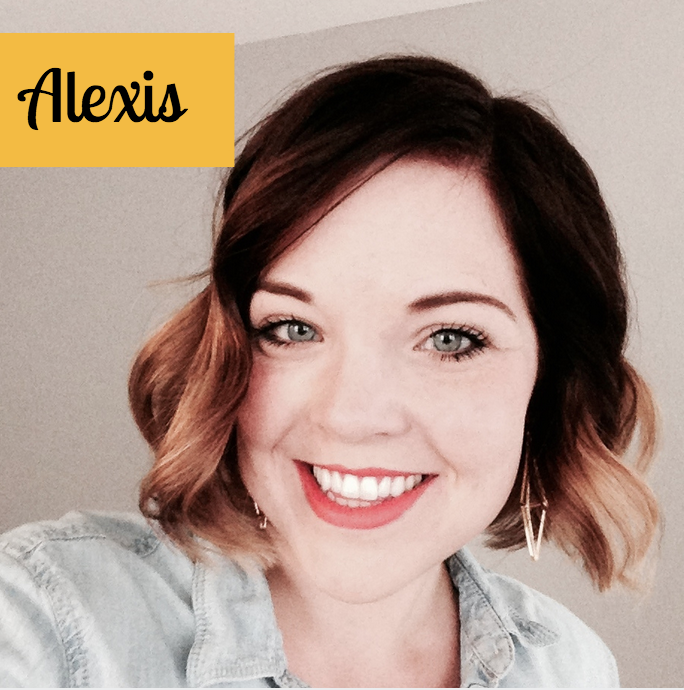 Alexis is a lifelong crafter and blogger at Persia Lou where she shares crochet patterns, hand-lettered printables, and DIY projects for the home. 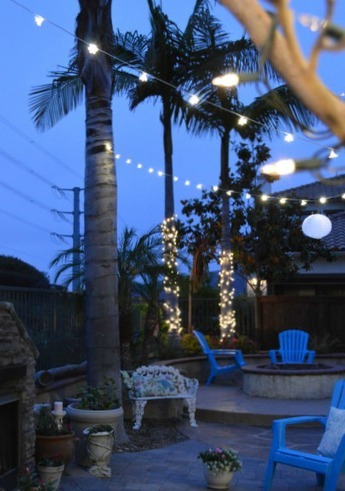 String lights are a great way to make an outdoor space feel special. 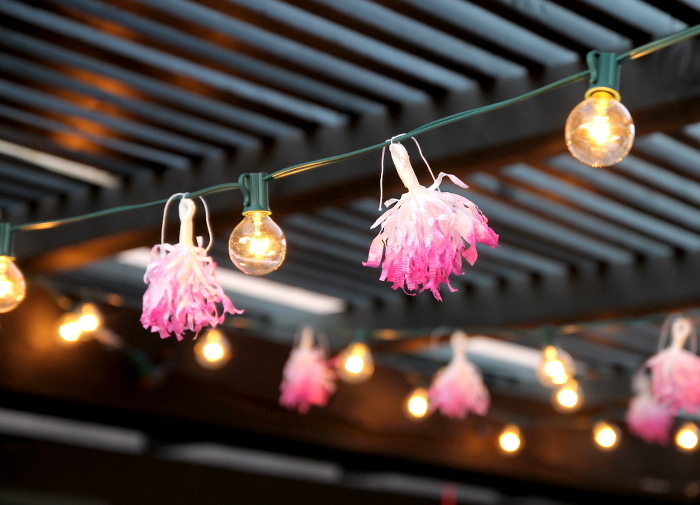 Adding some pretty, dip-dyed paper tassels to your string lights takes them to the next level. 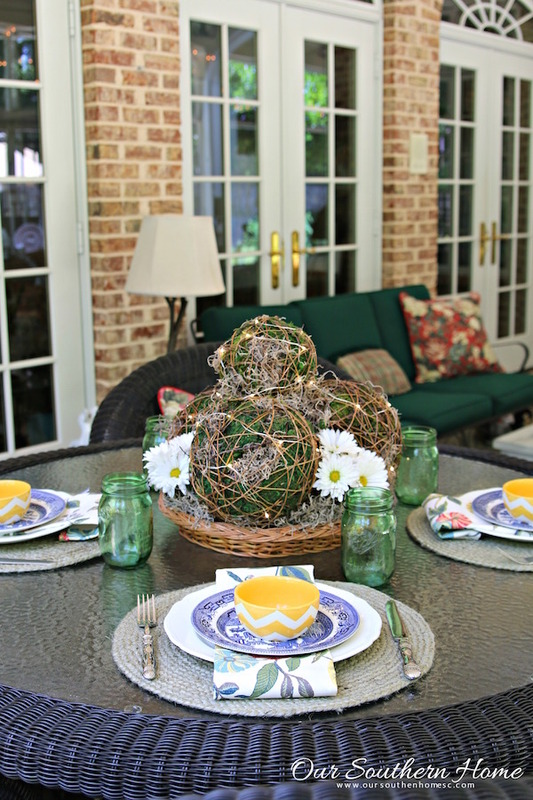 This simple DIY will bring some whimsy to your party or patio this summer. 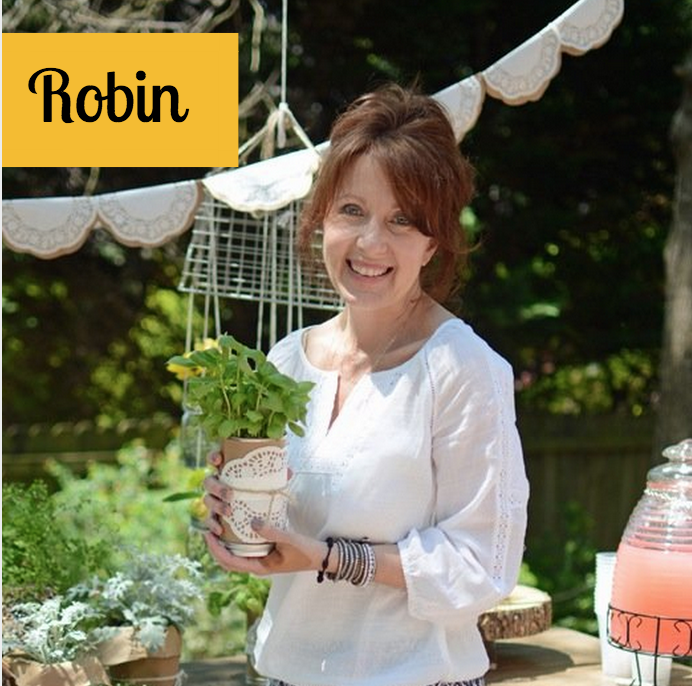 Robin believes that your home should be a place for friends and family to feel loved and welcome. 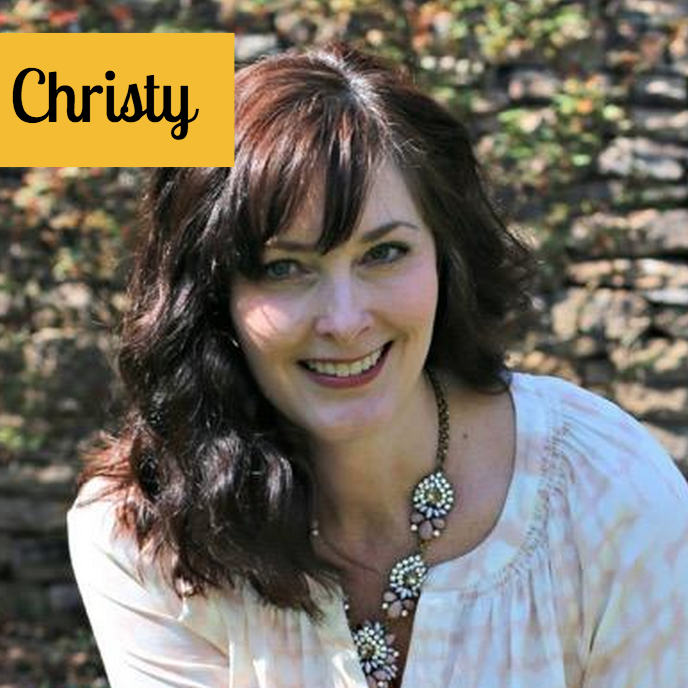 Her blog, All Things Heart and Home, reflects that belief and is a place where she shares DIY projects, crafts, seasonal decorating and entertaining. 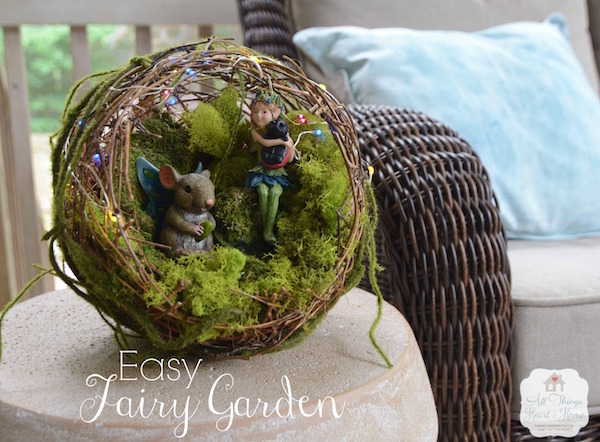 I’m using itty-bitty LED string lights to make a cute-as-a-button summer decoration…It’s a mossy fairy garden tucked inside a grapevine sphere and it adds a bit of whimsy to our screen porch! Like these ideas? Give us a Pin! Want to become a Porch Blogger? Learn more here and become a part of the family. Blogger and Community Lead, Porch.com. After graduating from the University of Oregon (go ducks!) with a degree in International Relations, Taylor’s side project as a beauty blogger on Youtube took her career in a different direction. She spends her free time strolling the aisles of Hobby Lobby, sitting in a room talking to a camera, and trying to find the best burrito in Seattle. If you're a blogger, feel free to reach out to Taylor at taylorh@porch.com, we would love for you to be a part of the Porch blogger family!